This online version is the second incarnation of Omnivore. Originally, the opera started off as a crazy idea between writer/director Jaakko Nousiainen and composer Miika Hyytiäinen in the spring of 2007 - What would an opera in mobile media be like? At that time mobile phones were still clumsy devices with limited capabilities for delivering high quality audiovisual content, so the thought of making an opera for the mobile platform indeed seemed almost ridiculous at first. However, after the launch of the first generation smartphones into the consumer market later that year, it was obvious that the mobile media would fast develop into a powerful content channel, and it would only be a matter of time before opera, too, became mobile. 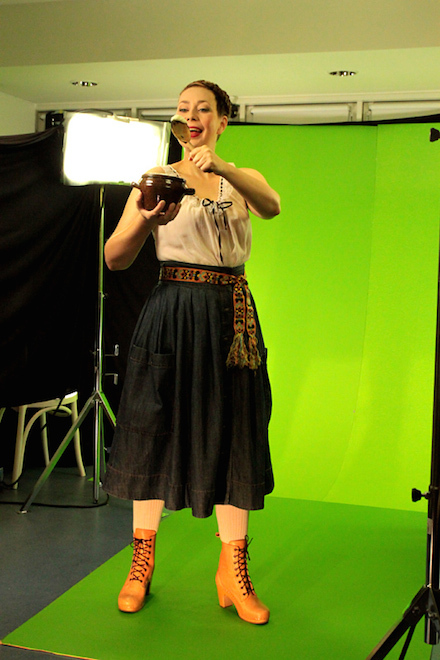 The production of Omnivore was a joint effort that gathered together a multidisciplinary team of musicians, technicians, opera professionals, mobile media experts, video makers, user experience and user interface designers and food specialists. The opera would not have been possible to make without their open and curious attitude towards the idea. The journey of creating Omnivore took over five years, due to lengthy pauses in between production phases. When the work was finally released as iOS and Android applications in the autumn of 2012, mobile media had become all about location specific, reality augmenting and social connectivity enhancing services, which once again call for new opera concepts to be developed for the future - but that is already another story. Here are some moments from along the way. The score of Omnivore was completed in autumn 2009. The musicians rehearsed a few days together before heading into the studio. 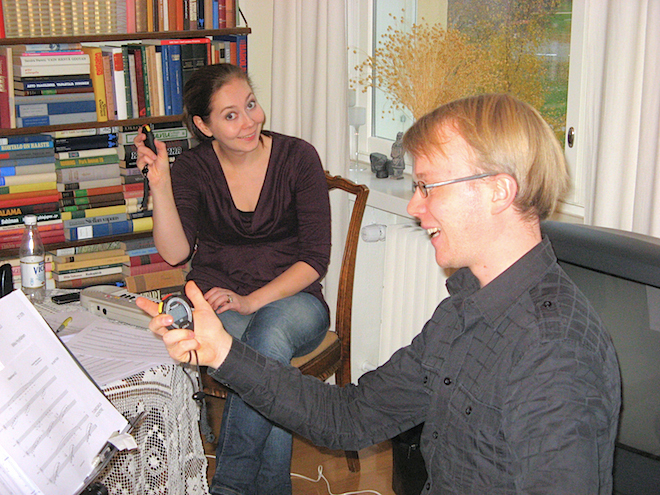 Essi Luttinen and Lauri Sallinen make new friends with stopwatches that were needed for certain parts of the intricate score. 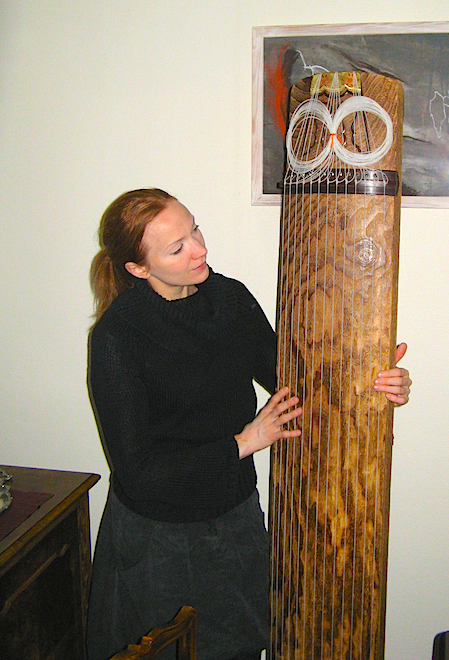 Eva Alkula and her Japanese koto, which has a prominent role in some of the arrangements. The music of Omnivore was recorded at the Sibelius Academy studios in Helsinki in the end of 2009. Lauri Sallinen's tour de force: playing not just one but three bird whistles simultaneously! Eva Alkula and the wonders of playing the kantele. In the background Lauri Sallinen is now playing the clarinet instead of bird whistles. Essi Luttinen rehearsing before a take. Miika Hyytiäinen had to get behind the microphone too. After all, he was the one who had composed this! After a production pause of almost two years, the filming of the opera finally took place in the premises of the Finnish National Opera in the autumn of 2011. Essi Luttinen kicking it while Eetu Lipponen films on the floor. Essi Luttinen in one of her 23 role costumes. 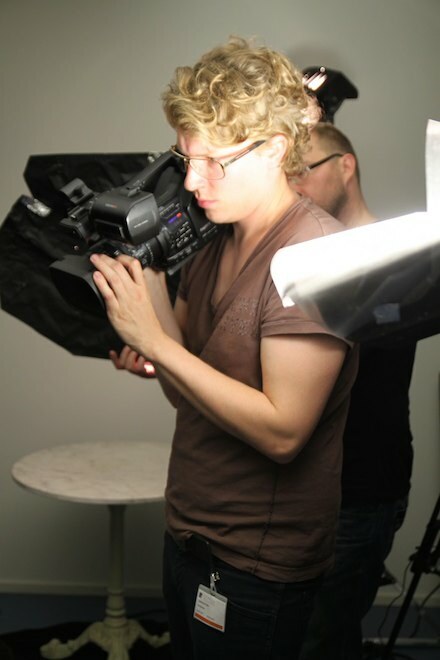 Essi Luttinen filming a take for part three of Omnivore. Eetu Lipponen concentrated on getting the focus right. Miika Hyytiäinen helping out in creating moving shadows. Kukka Sand making sure Essi Luttinen always looks her best. Essi Luttinen eats a raw oyster, first time in her life. Jussi Valanki prepares the dish. Suvi Matinaro checking the decollete laces of Essi Luttinen's rococo nightgown. Mari Kosunen stepping in as an extra to help the kimono-clad Essi Luittinen while Jaakko Nousiainen observes. 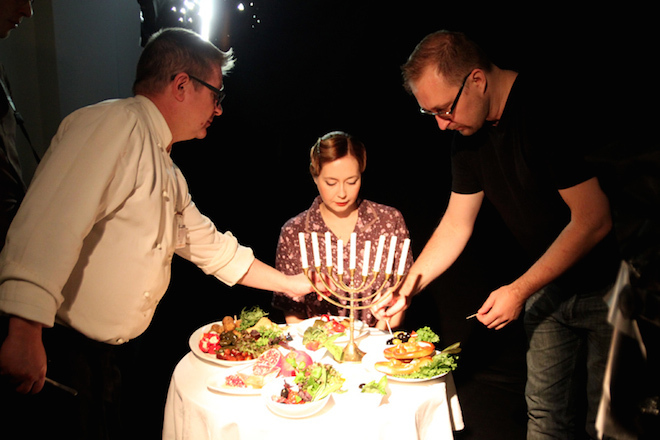 Jussi Valanki, Essi Luttinen and Jaakko Nousiainen making final preparations before a take. Over 30 hours of materials were condensed into the final edit in the spring and summer of 2012. Finally, user interface design, mobile back end design and technical implementation completed the original project. Omnivore clips on the editing software's timeline. 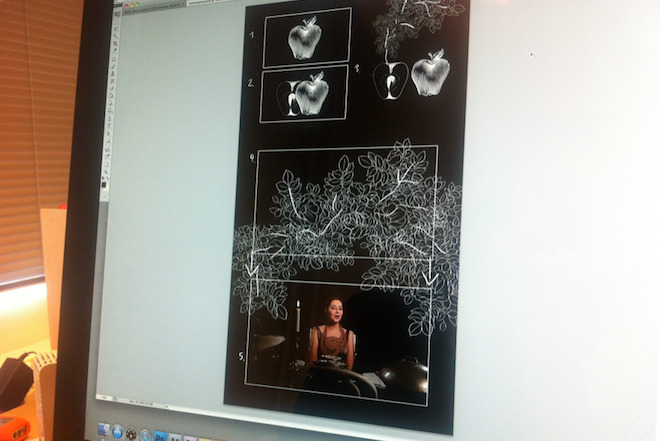 Working on video graphics, designed by Roy Haapakoski. 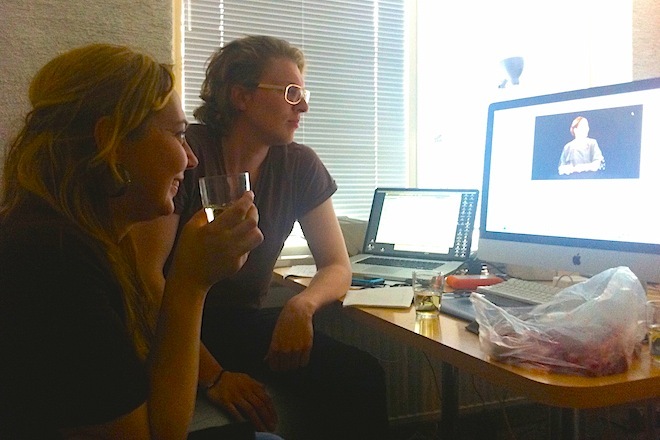 Essi Luttinen watching her on screen performance for the first time together with Eetu Lipponen.